Selfie Standings, Title Defense, NO TEAM LEAGUE TONIGHT! Just a few reminders for everyone out there, there is NO TEAM LEAGUE TONIGHT! Enjoy Valentine’s Day with your loved one(s), or if the pinball machines are your loved ones stuff them with more quarters than either of us thought was possible! 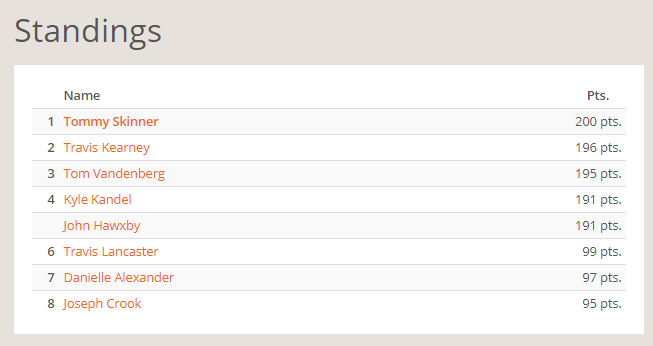 Here are the current Selfie Standings for February! Be sure to get your scores entered on The Shadow and Monster Bash for your shot at making the finals at the end of the month! 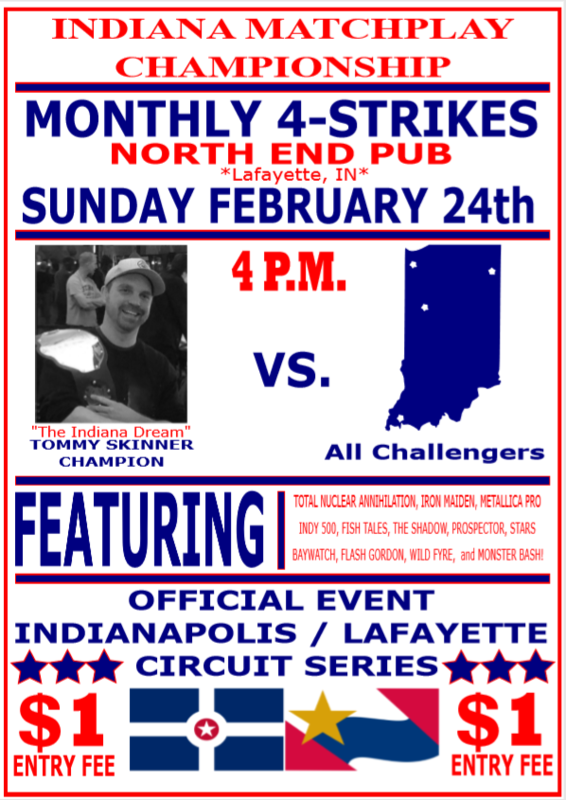 Lastly, the Indiana Matchplay Championship belt will be on the line Sunday, February 24th, at 4 PM in the 4-Strikes tournament! Win the tournament, win the title, become the champ! Also this Sunday, Feb. 17th, at 7:30 PM there is a tournament at Main Street Amusements. $1 entry fee, 4 strikes format, come and battle! Hope to see lots of new faces there playing some competitive pinball!